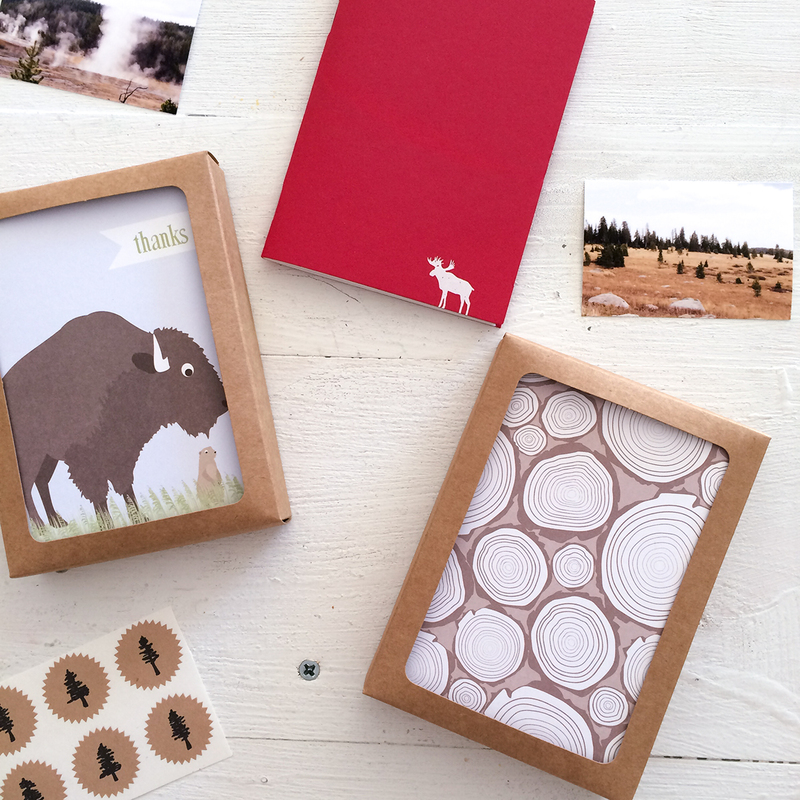 inspired by my recent trip out west i created a couple of limited edition boxed notecard sets. the boxes are filled with notecards, a pocket journal and some stickers. at just $7.50 the boxes are great to keep on hand for a last minute gift. i’m a fan of buffalo and moose, so these were fun to put together. 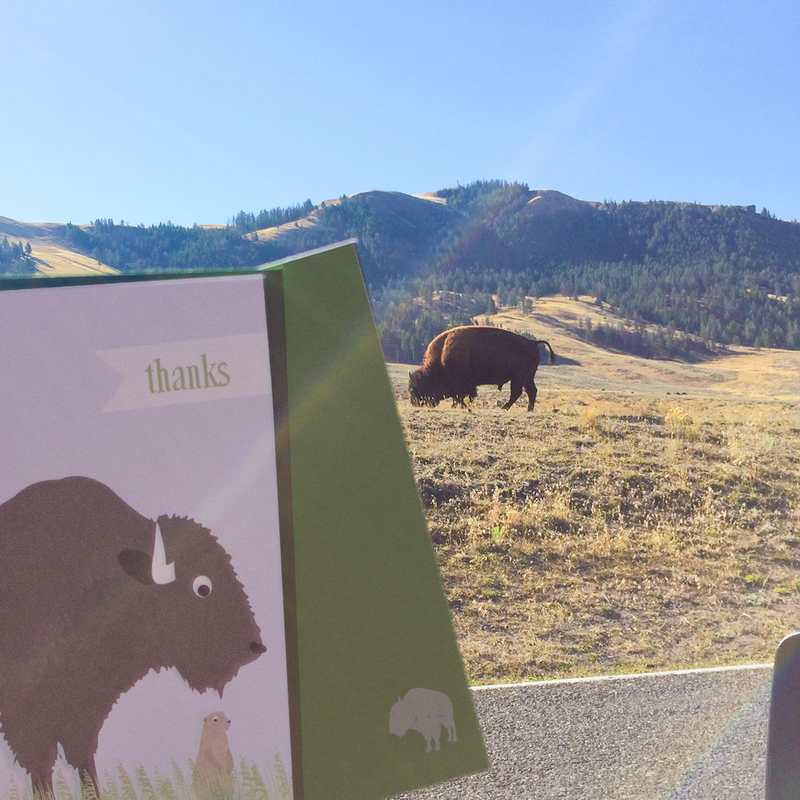 while in yellowstone i (unsuccessfully) tried to take a photo of the buffalo set with a buffalo in the background. i was the driver and i’m pretty sure i was in the middle of the road so i had to snap quickly. the whole line up of 2016 calendars and planners will be online soon, but for those who want to start planning now the 2015/2016 academic planners are in the shop. you have a bunch of options to choose from. 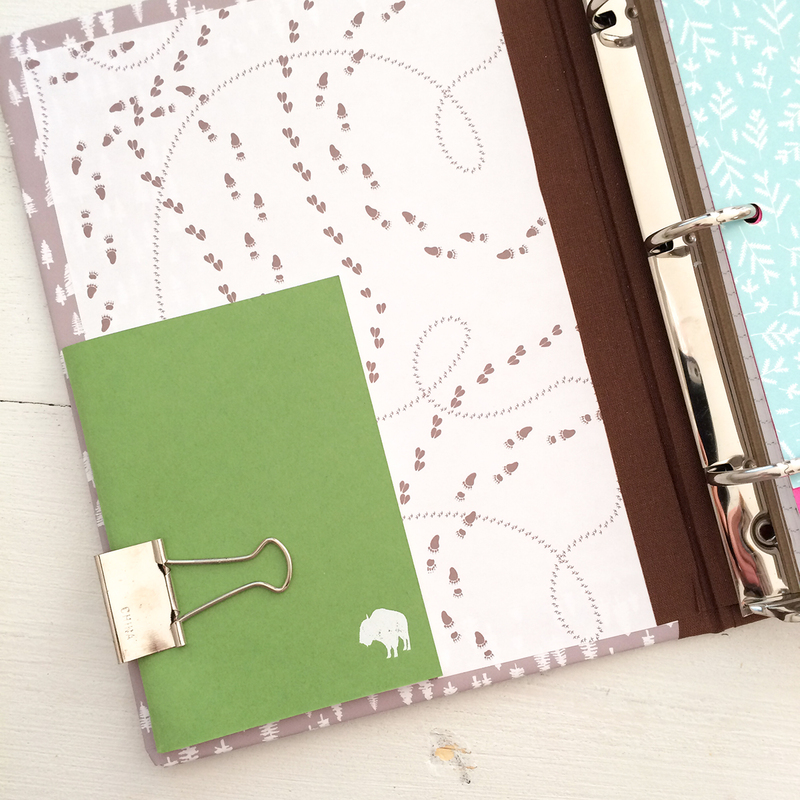 you can get the original patterned booklet style, a patterned spiral planner or a kraft booklet style planner. 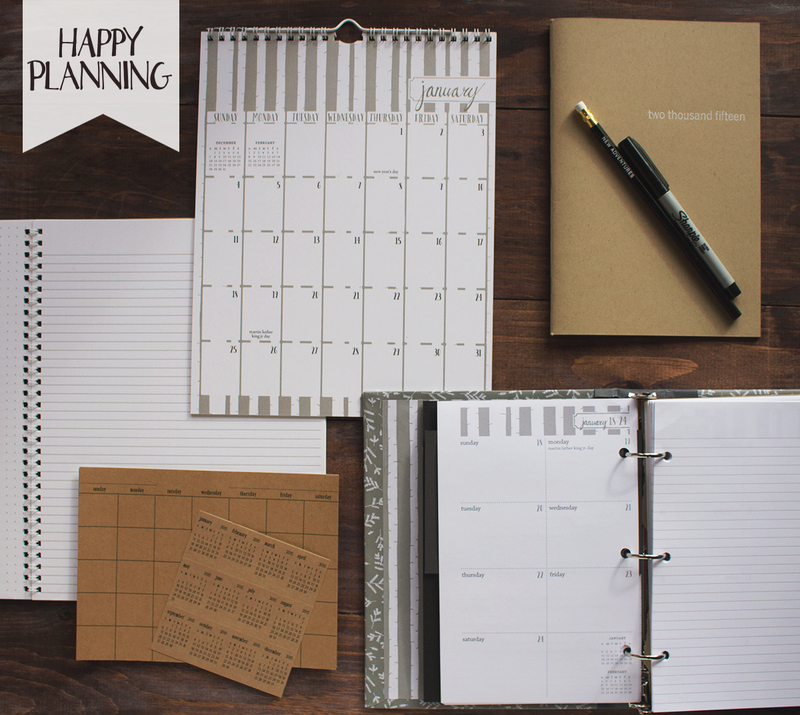 there is now also an undated kraft monthly booklet style planner – start any month and on any day of the week. 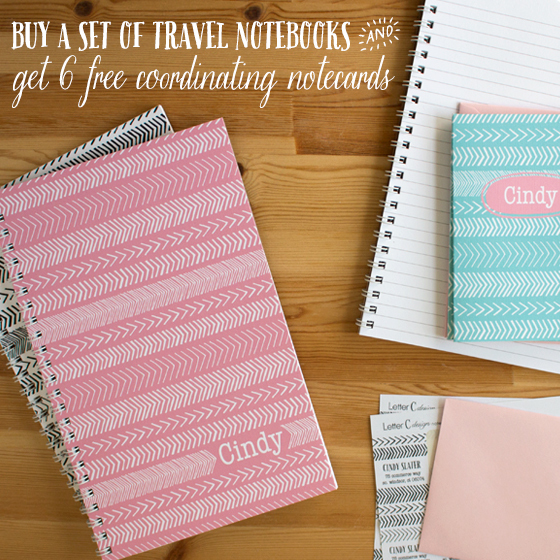 if you get the Letter C newsletter, you have already seen this, but if not, i thought i should let you know that this month when you purchase a set of 3 mix&match travel notebooks and you will get a free set of 6 coordinating folded notecards. the extra cards are great to keep on hand or go ahead and give them as a gift to a loved one. no code necessary. offer valid until 3/31/15. 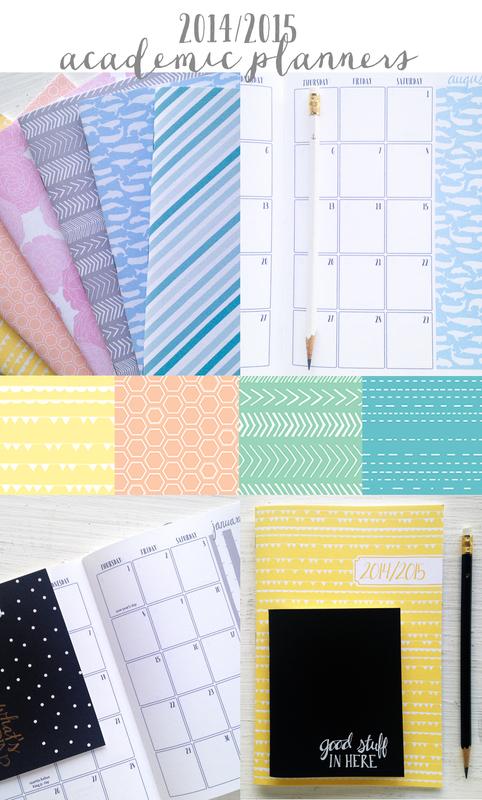 also, there’s some new mix&match patterns available on you can get on your notecards, notebooks and address labels. there’s also some new colors to choose from – including chic black & white. it took me some time, but i finally decided on my 2015 calendars and planners. 1. patterned wall calendars – i’ll be using one of these for both my house and my office. i usually use a kraft calendar in my office, but i’m going a little crazy and adding color this year. 2. kraft monthly planner – this planner is how i keep track of when bills are due. it’s a good size to clip in the one bill i actually have to pay by check – plus the lines on the side help me keep track of what i owe. 3. weekly planner sheets – the weekly planner is what i use daily and this was the option i kept changing my mind on. it was between these sheets and the kraft weekly planner. i plan in general and not daily, so each week i make a list on the lined pages of what i want to get done – adding things as the come up. on the weekly part i will write down any hard deadlines, appointments, meetings and birthdays. since i use the lined pages more than the weekly pages i put the holes on the opposite side than the sheets were designed for. using a mini binder works better for me than the already spiral bound planner because i like the flexibility of adding in more sheets on really busy weeks. 4. stick any where calendars and mini calendars – this year i am going a different route than i have in the past couple of years for planning for big projects. i’m testing out a new size spiral notebook that has lined pages on one side and the dot grid on the other side. with this i’m going to be using the fill in the date sticker calendars. this gives me the flexibility to use a notebook for each major project. hope your off to a great start with your 2015 planning. 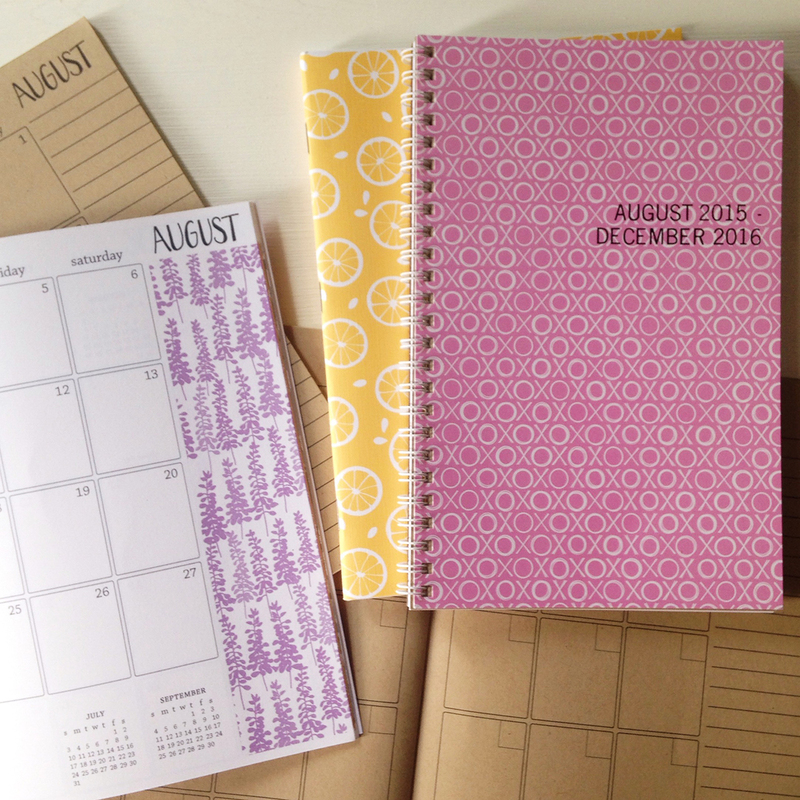 back to school means it’s time to get your academic planner. right now our booklet 17 month calendar is on sale until august 28. you can find them here. the rest of the 2015 calendars and planners will be added soon. check out the new heart and flamingo pencils. you should also check out the new partyparty app. a jar full of flowers make anything cheerful – including your envelopes. these adorable labels are available for 20% off for the month of may – no code necessary. i kind of wish i had a bridal or baby shower to plan for because a set of these labels would make super cute favor stickers. for the month of may you can also get 20% off the notecards and pocket journals from the in the garden collection with the coupon code FLOWERS. a set of labels and notecards would make a lovely gift (mother’s day is around the corner). we offer free gift wrap if you are shipping the gifts directly to the lucky recipient. 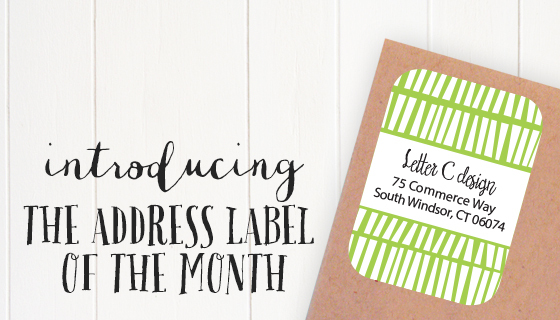 every month letter C will be offering an address label of the month. the label might be a new design or a favorite among the bunch, but no matter what they will be available at 20% off regular price. no coupon code necessary – just choose your color, font, add your information and place them in your cart. shop the april label here. choose the color lime and the labels will be a cheerful addition to your spring mailings. bonus – make sure you are signed up for the letter C newsletter. you never know when a discount code will be sent out that you can use on top of the already discounted labels! 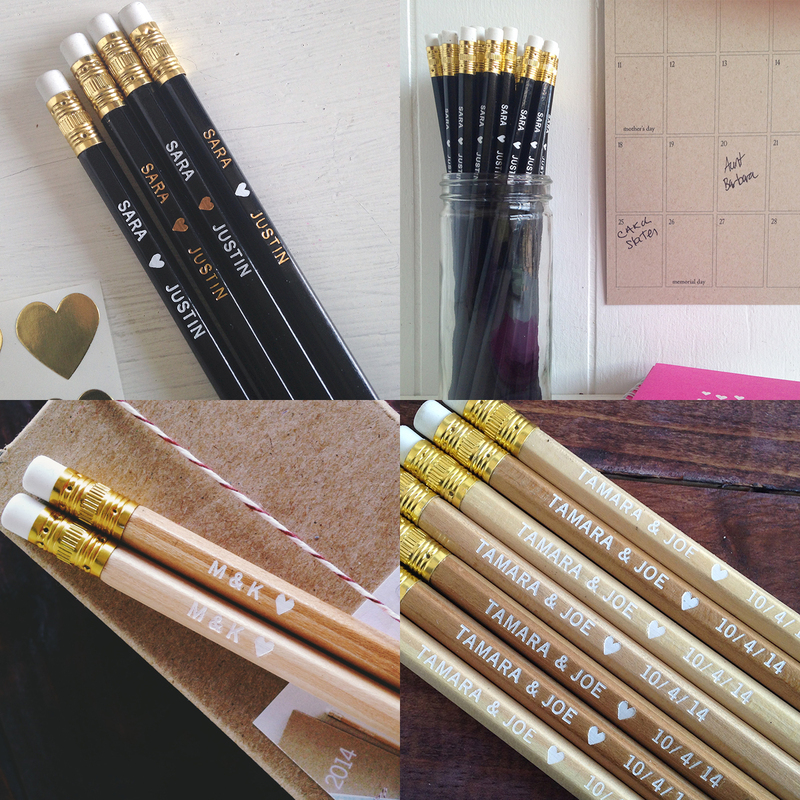 did you know you can now get personalized heart pencils? these are great for weddings and showers. they would make fun favors for your guest to bring home with them or to use with shower games. add a date and they would be super cute as your save-the-dates*. i’m thinking they would also be a sweet touch at a baby shower. *please note that if you do plan on mailing a pencil it would have to be mailed as a package and not a letter. 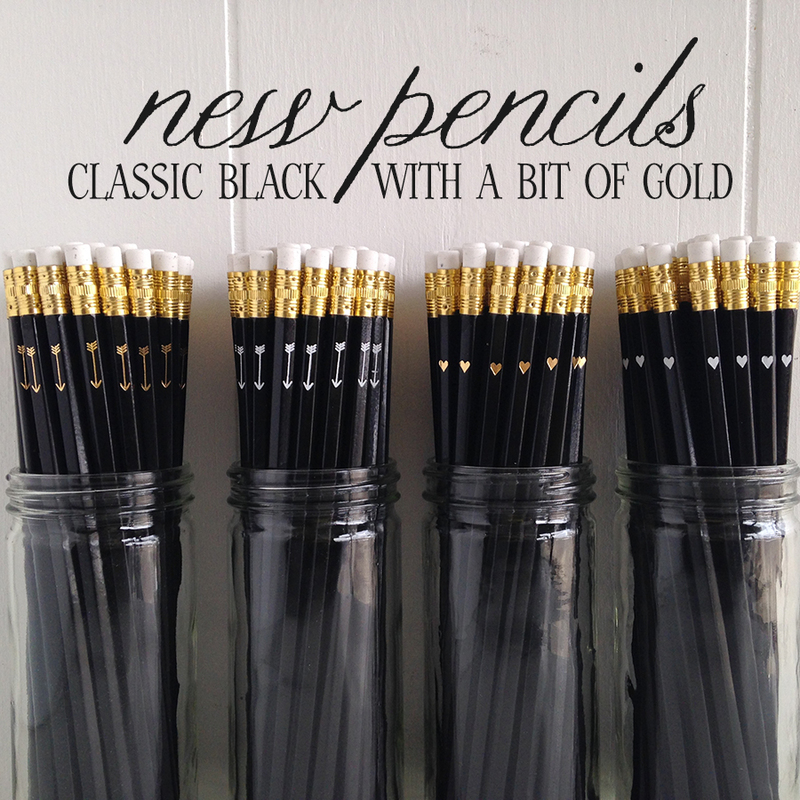 add class to your desk or event with a set of black pencils. the pencils are hand hot foil stamped with either a tiny heart or arrow. i couldn’t decide what looked best so you can choose – gold or white foil.